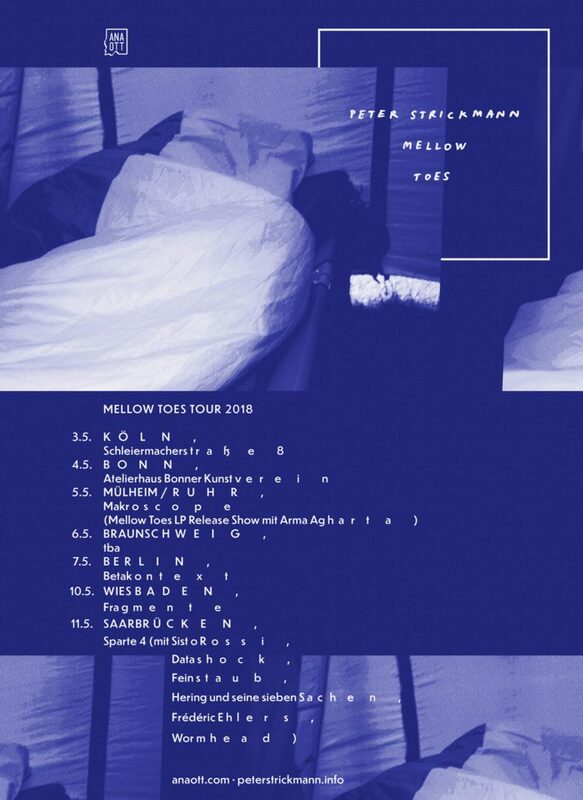 I will be touring with my new record Mellow Toes, which is published via Ana Ott in early May. Mellow Toes contains two compositions of sleeping- and snoring-sounds from my long run Snoring Archive (since 2009). The field-recorded sleepiness of friends, animals and strangers was captured in all places and states of rest and sleep and is now accompanied by the noise of my prepared objects and homemade instruments. Coming as an invitation to a body-phonographic listening in a state of awake fatigue and airy interspace.